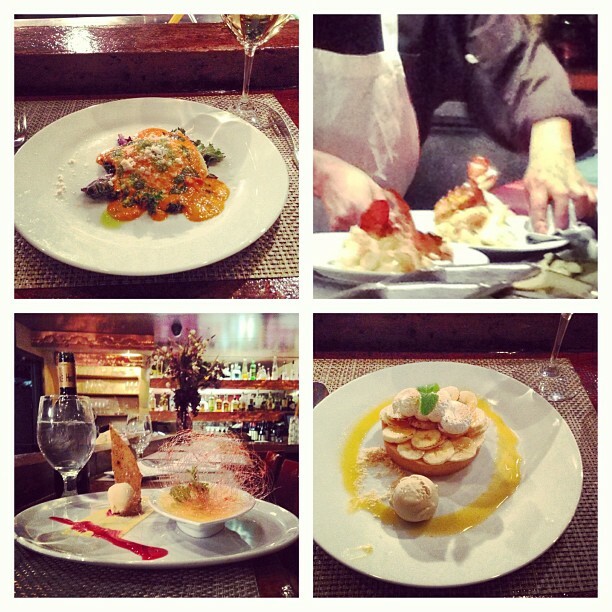 We have just completed our 4th Annual Restaurant week here in Santa Fe. New Mexico Restaurant Weeks are organized by Wings Media Network, a public relations and marketing firm based in Santa Fe. The promotion grew out of a desire to create a new culinary event in New Mexico that would boost business in the shoulder season and showcase the region’s remarkable dining to a wide audience. Restaurant Week has become a highly anticipated culinary event across the state. Santa Fe, Taos and Albuquerque all participate in restaurant week and each city has a different week. 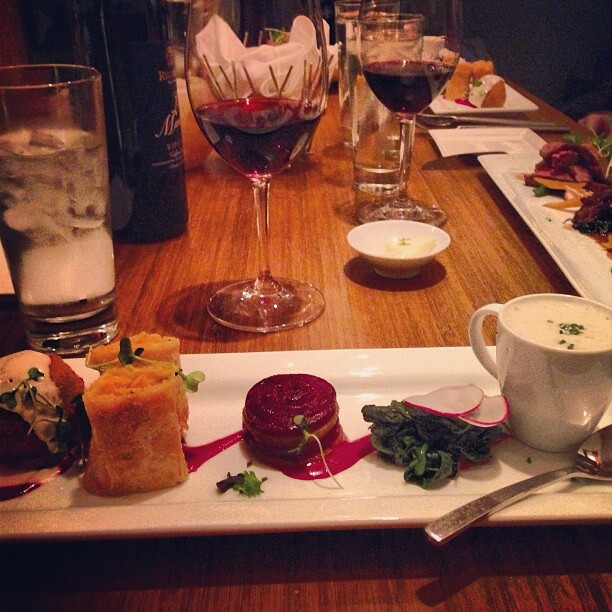 It is a fun way to experience several of the Santa Fe restaurants for a very reasonable price. Most restaurants will do a 3 or 4 course menu ranging from $25 per couple to $20-$40 per person. Here are some pictures from two restaurants this year. Both fabulous restaurants in the downtown area. Next year come stay with Adobe Destinations and you can walk to most of the restaurants that are featured for Restaurant Week!!! You can see how appetizing this looks! Imagine renting a house, walking to dinner and enjoying a fun evening out! This entry was posted in Uncategorized and tagged adobe destination, coyote cafe, culinary event, dining, food, live like a local, new mexico restaurant, restaurant, restaurant martin, Restaurant Week, Santa Fe, santa fe day, santa fe restaurants, travel, Vacation Rental. Bookmark the permalink.